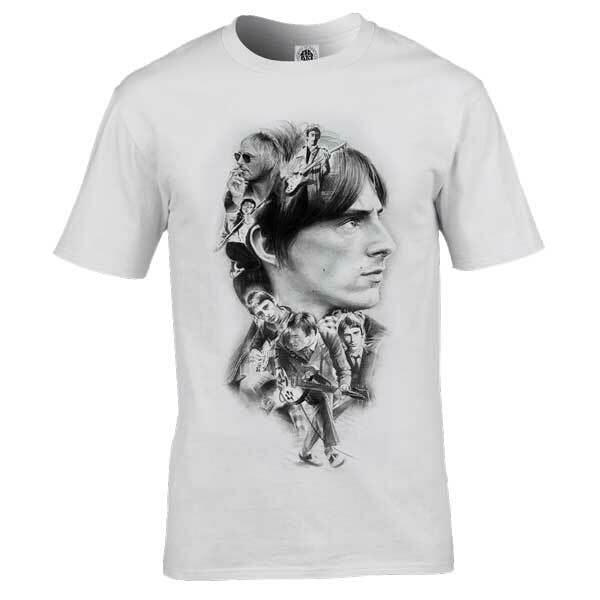 This Paul Weller Montage T-Shirt has been drawn by Mark Reynolds in pencil. It features a montage of classic Paul Weller images. Paul Weller (born 25 May 1958) is an English musician and singer-songwriter. 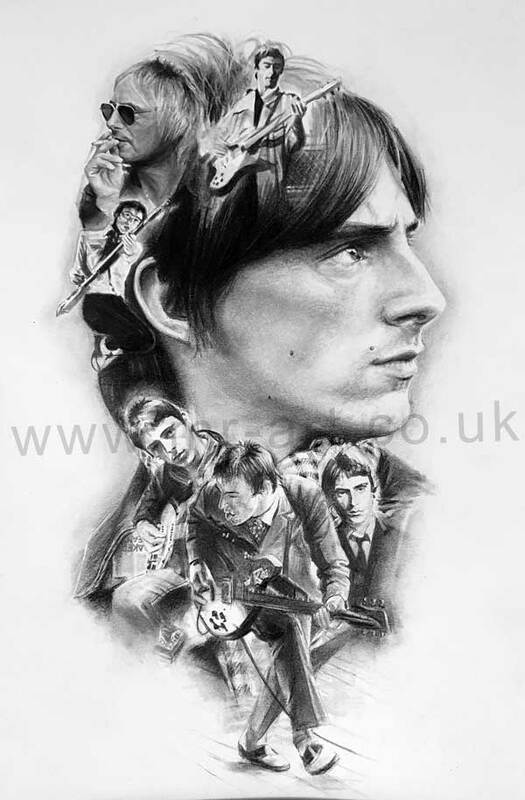 Starting with the band The Jam (1976–1982), Weller went on to branch out musically to a more soulful style with The Style Council (1983–1989). In 1991 he established himself as a successful solo artist, and continues to remain a respected singer, lyricist and guitarist. Despite widespread critical recognition, Paul Weller has remained a national rather than an international star, and much of his songwriting is rooted in English culture. 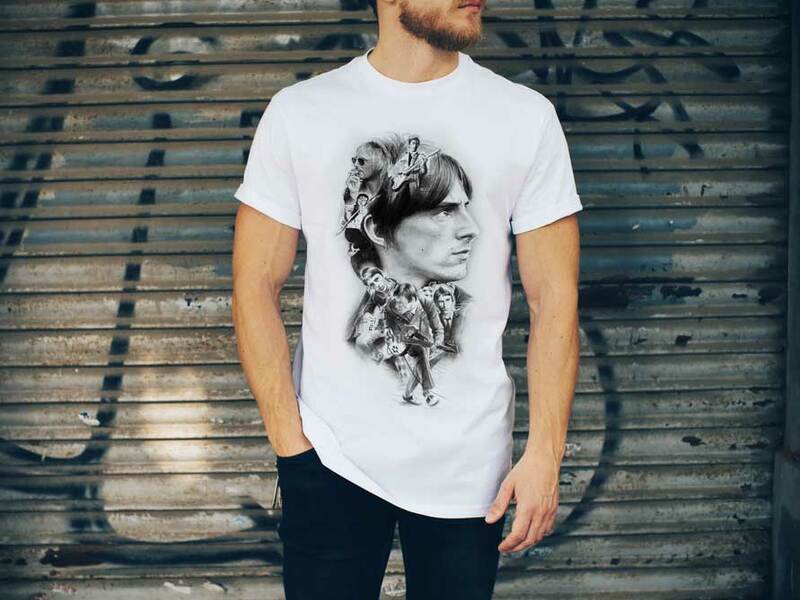 He is also the principal figure of the 1970s and 80s mod revival and is often referred to as the Modfather.